As I have blocked off the two coolant bypass pipes I needed to remove the thermostat. 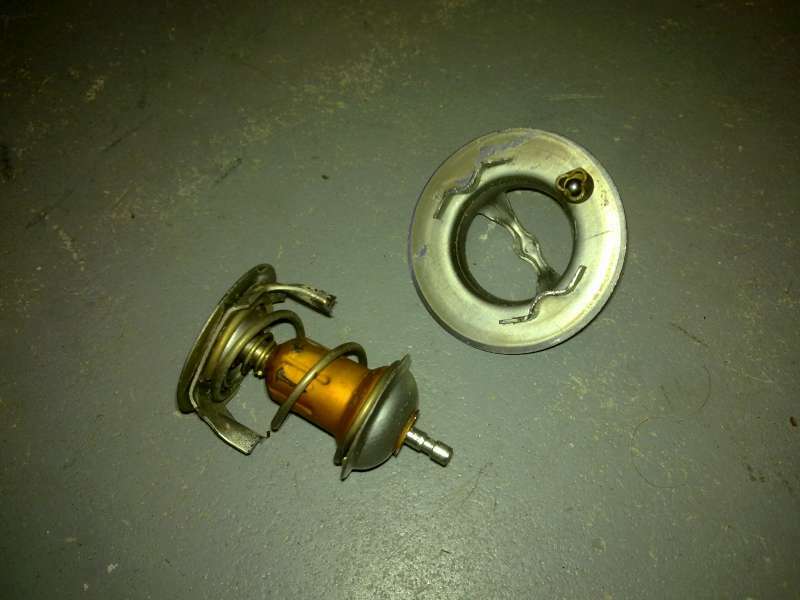 The thermostat housing is taken apart via just three screws and then the thermostat assembly can be removed. 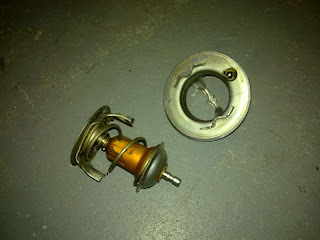 With the angle grinder two cuts were made to remove the mechanism and just leave the outer ring. 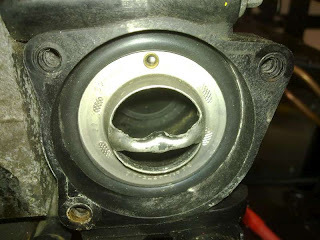 A new rubber seal was used when replacing the modified thermostat in the housing. The orientation was kept the same, with the air bleed valve at the top. Not that it serves any purpose now.